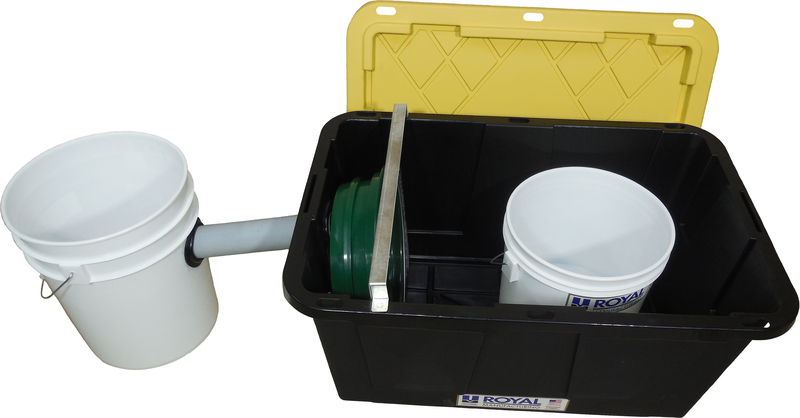 This Kit is built around our 30” Compact Stream Sluice Box. 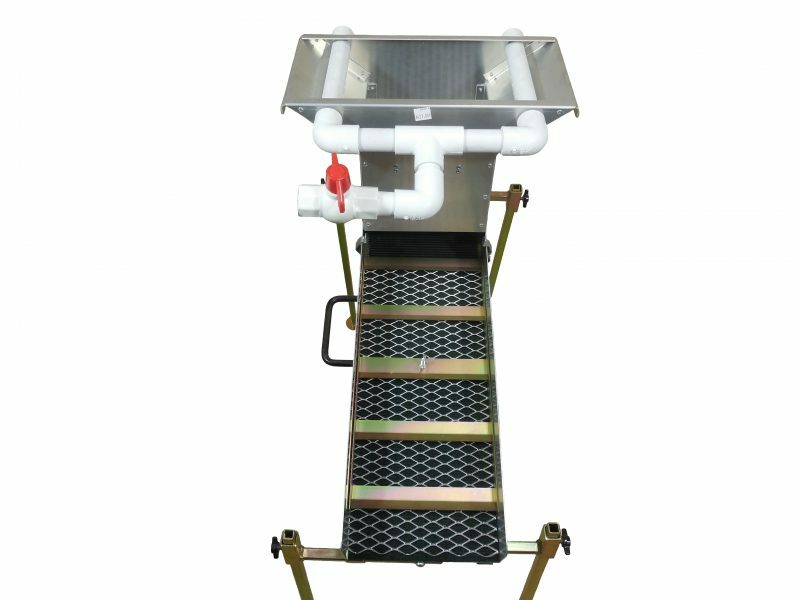 The Sluice can be used alone or by removing the flare and adding the Hopper it can be converted into a True-Highbanker. 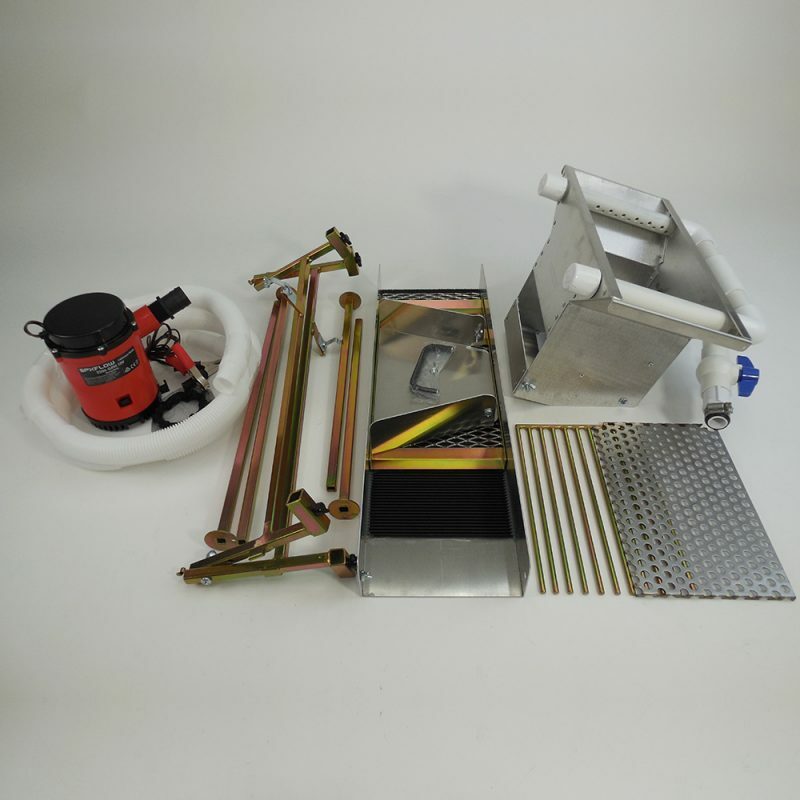 The following items are included in this kit. 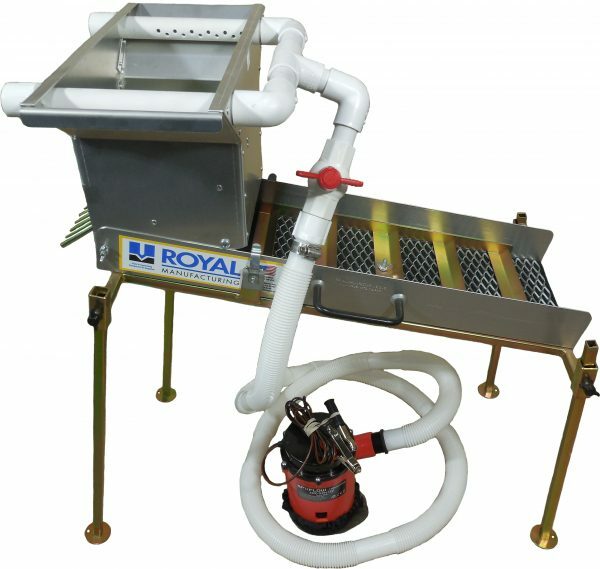 30” Compact Sluice Box, 30” long X 7” wide. Removable Flare not shown, 4” Black Anodized Handle. 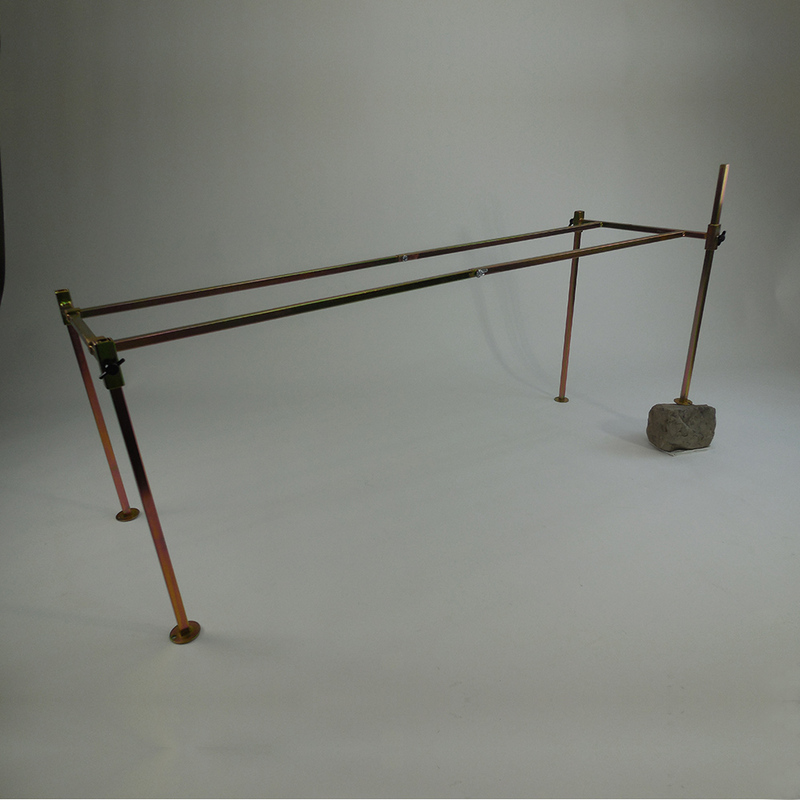 Folding Sluice Stand with four adjustable legs. Our new Deep “V” Rubber Matting for easy Gold ID. 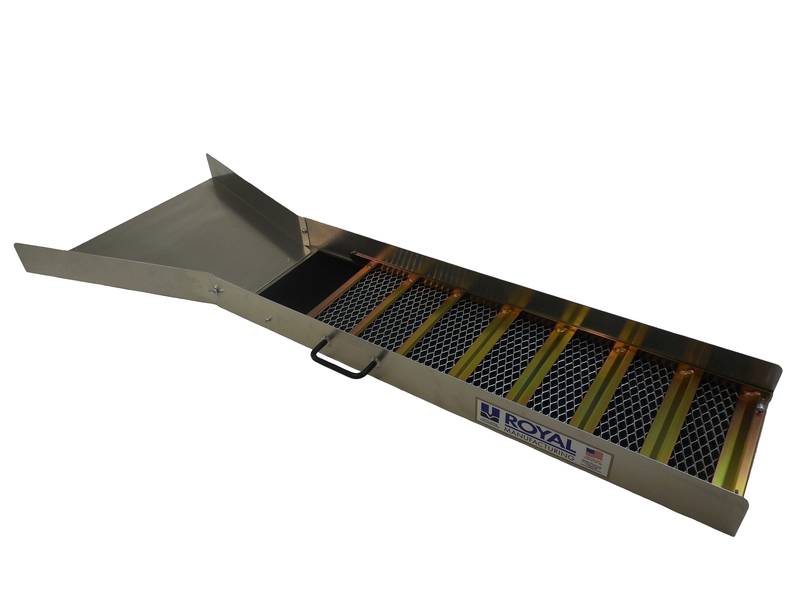 Highbank/Hopper, top of Hopper 14-1/8” X 7-1/8”. Hopper adjusts to two different angles. Two 3/4” adjustable spray bars, Ball Valve. The water is supplied by 7’ of 1-1/8” hose connected to a 12 volt electric US Made Johnson 2200 Pump, the leads on batteries are 6’ leads and battery clips., filer bags. Removable Grizzly, New! Removable 3/8” perforated punch plate. 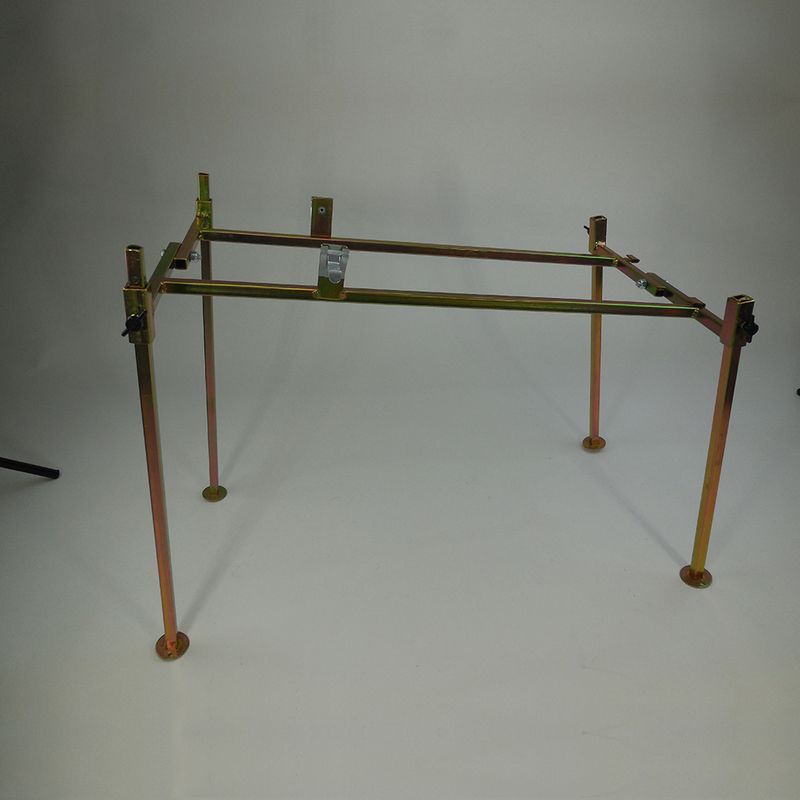 This handy stand fits both our 24” & 30” compact sluices boxes. Sluice is held by two spring-locking clips. Fold down to 8” X 23”. 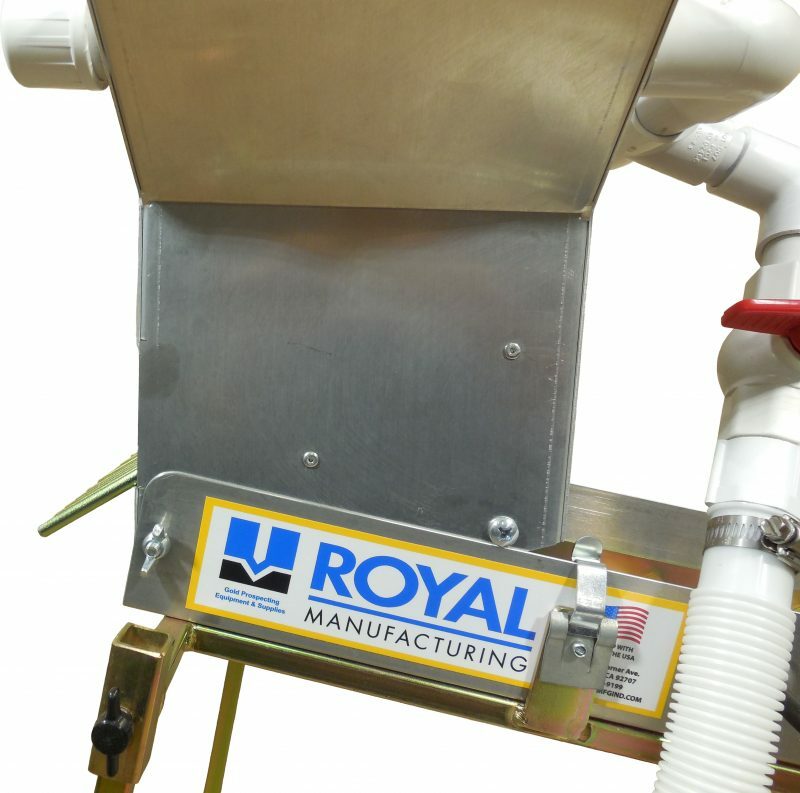 Comes with 4 independent (2-16”, 2-20”) legs. Fits 7” X 2.5” Sluices Only. .063” Aluminum Body 54” L x 10” W x 3” D 20-1/2” wide removable flare NEW deep V Ribbed Black Rubber Matting for easy Gold ID 4” Black anodized carrying handle 8 Zinc Plated 18 ga. Steel Riffles 10.2 lbs.